Panjim is a great city for fine dining. From Indian to Chinese and even Pan-European, there is a healthy infusion of spices and condiments from all around the world. That being said, it also just happens to be a college kid’s paradise. 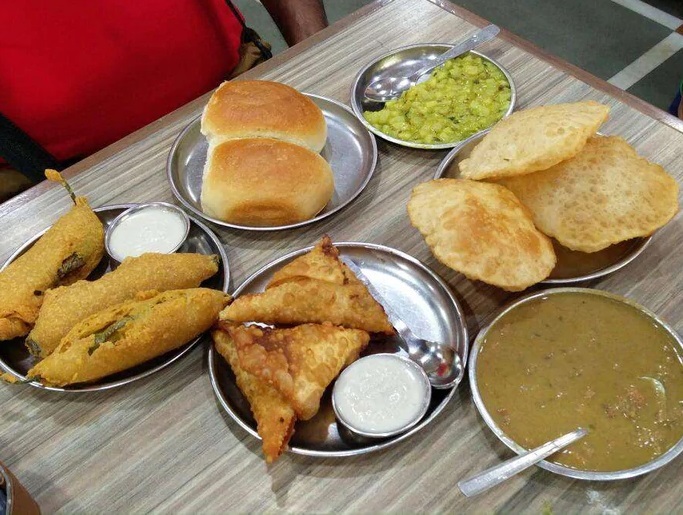 With an extravagant array of tasty delights at dirt cheap rates, there is no denying that Panjim is the place to be if you’re running low on cash. Is there better place that serves lip-smacking burgers in town right now? Possibly, but none making their fillings in house. 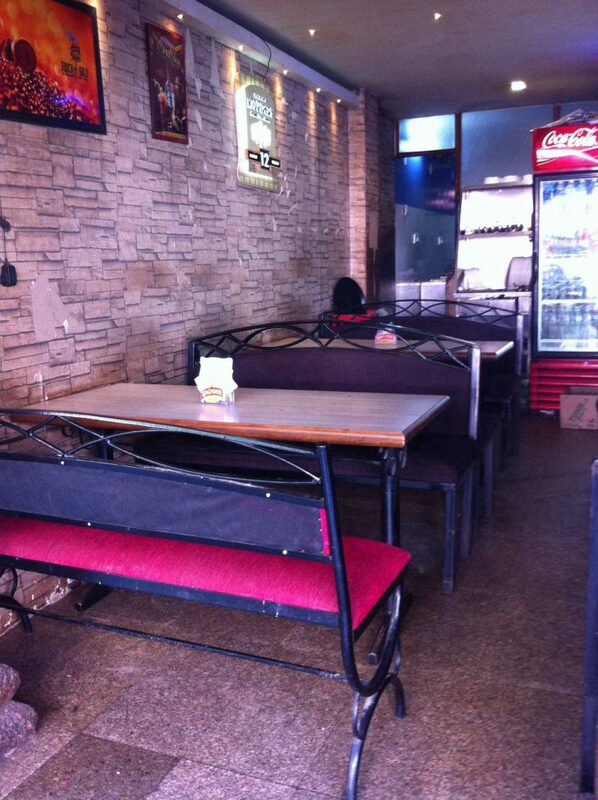 Cafe basil offers a wide variety of burgers, barbecues, shakes and nachos that are bound to leave you speechless. Expect competitive eating contests every Thursday organised by the local college kids. Consider the Ashton guitar and ukulele an added bonus. Its one of those hidden places that you just happen to stumble on when wandering around looking for some good food that is fast and affordable. Chicken Man has finally brought rotisserie chicken to Goa. Home delivery available at Panjim and Porvorim. A must try for anyone on the move. Tired of eating the same old staple of fried chicken, burgers and Croissants? 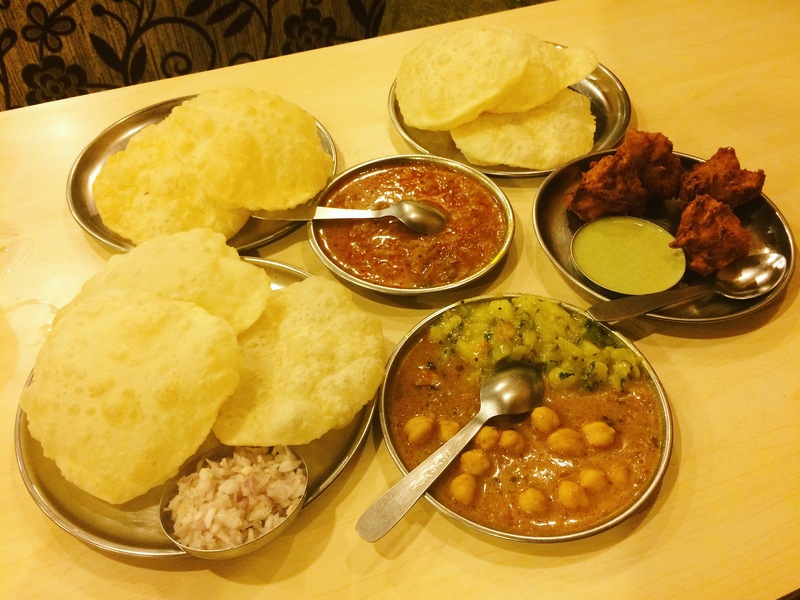 Treat your inner Indian with something more closer to home. Temptations offer just that. The biryani is the first hint that this place isn’t your generic North Indian food joint. Free home delivery throughout Panjim is a plus. Customer hospitality though is downright shabby. 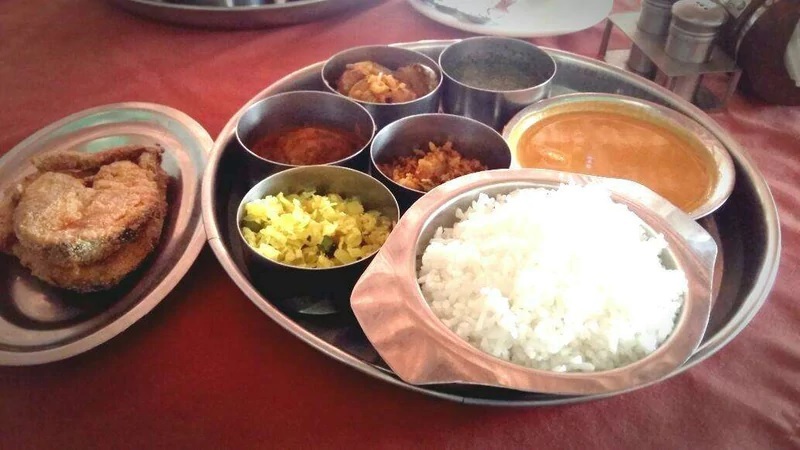 Well known for its authentic Goan Cuisine, served throughout the year.The signature Goan Fish Thali @Rs.150 is outrageously popular. Offering better value for money than anyone else. If you do go for the à la carte, then try out The Prawns Curry and Rice with some Chonak or Modso or Kingfish Rava fried. The service is brilliant; Ambience and atmosphere – Well Lit. 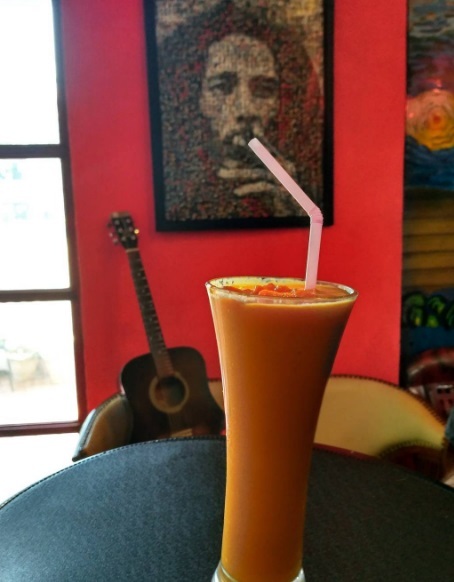 Carasid is by far one of the most affordable places to grab a bite in Panjim. 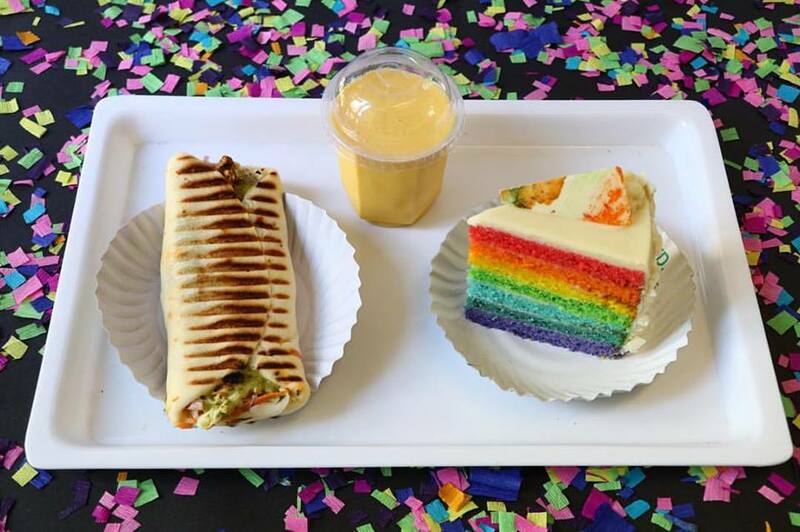 Everything on the menu is specially tailored for college kids. There is a wide variety of food served but with no specific theme. 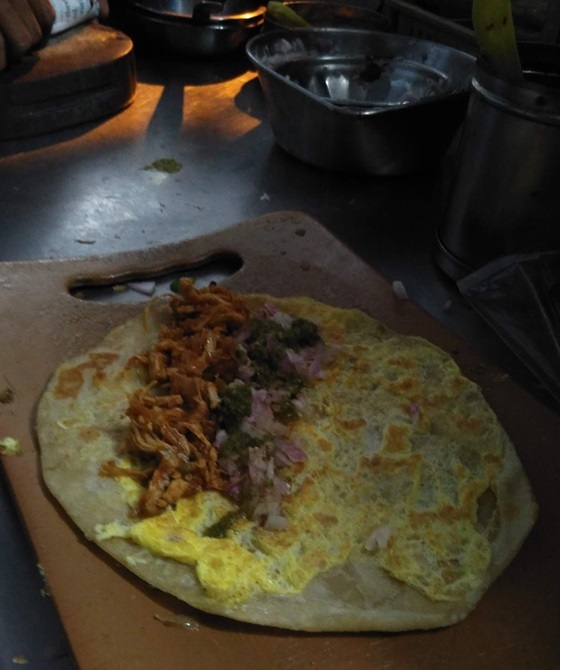 The Pesto Cheese Paratha & Smoked Chicken Omelette make a great snack. Their cakes are exceptionally good too. The best part? Its at walking distance from Miramar beach. 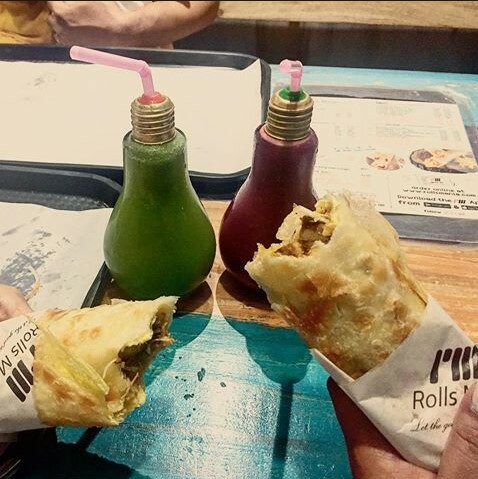 Pronounced as ‘Crem-o’, this Goan food chain pays homage to affordable dining with improved wraps which are meticulously made with plump chicken and fresh veggies. The Chicken Panini: grilled chicken with mayonnaise, garlic and oregano or BBQ Chicken Sandwich is a must try. In the mood for something healthy? 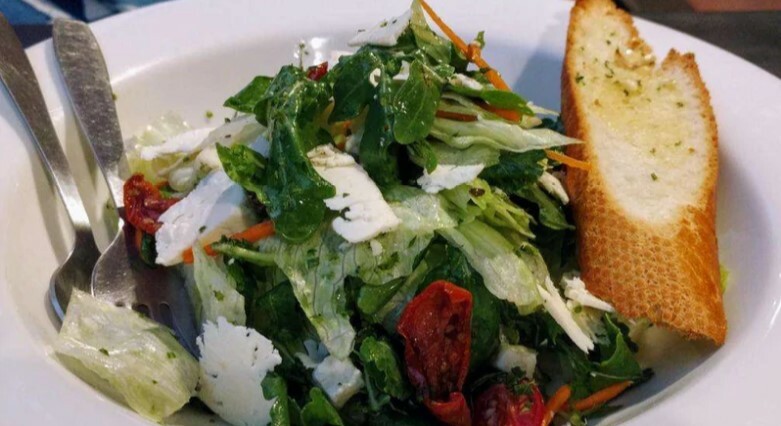 Give the Arugula and Feta Cheese Salad a try. Cheap drinks and pastries also available. Service is nice and efficient, so you can expect your order to be done in 5-15 minutes. Located right at the heart of the primary residential area in Panjim. 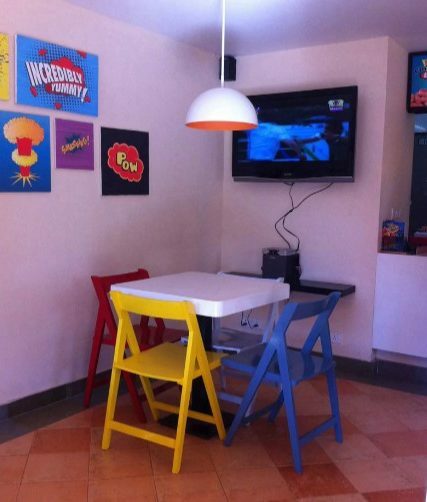 Super Frangos is a place that is simple and inexpensive and offers great tasting food. The grilled chicken burger is flavorful and should be chugged alongside some Mountain Dew. Pop styled posters neatly covering the entire place makes you feel right in the 60’s. Expect moderate traffic throughout the day, so you should be able to get your order ASAP. Home delivery also available. Peep’s kitchen specializes in fish and chicken dishes. Their pepper chicken which has an ever so elegant, tangy and spicy flavour is undoubtedly popular among locals.The squid batter fry is a true delight. Service here is pretty decent but be weary that the place is packed most of the time especially during weekends. A great place to relive the nostalgia of moms cooking. 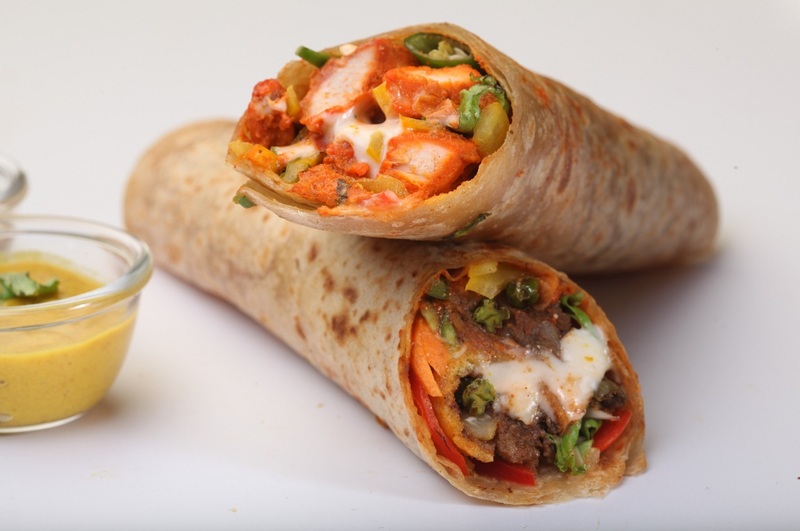 Gastronut is a food court known to serve some of the best wraps & rolls in Goa. The quality and pricing are quite good and reasonable. Spacious enough for small parties. Hosting an extravagant menu with a variety of sandwiches, rolls and quesadillas, juices and other beverages, Gastronut has a lot to offer. Remember to save room for dessert though, rumor has it that the ice creams here are to die for. 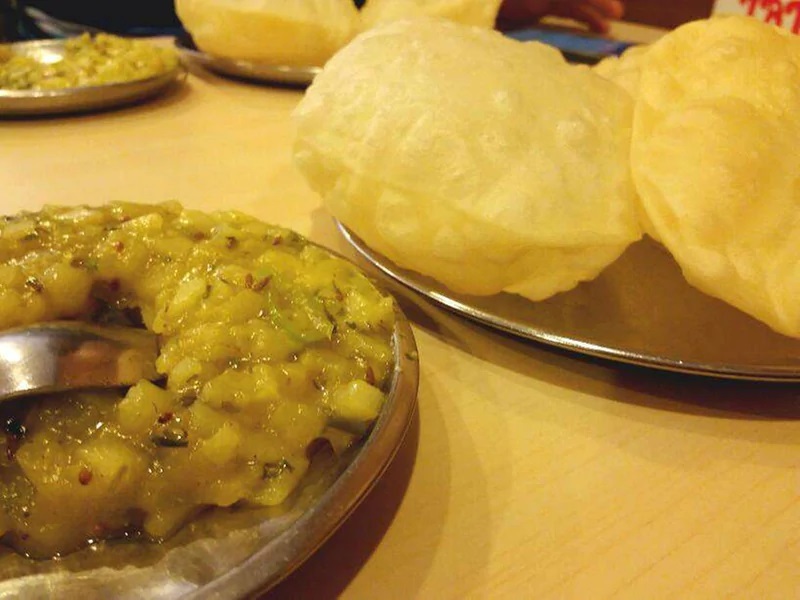 Famous for its affordable and finger licking good Pav Bhaji. 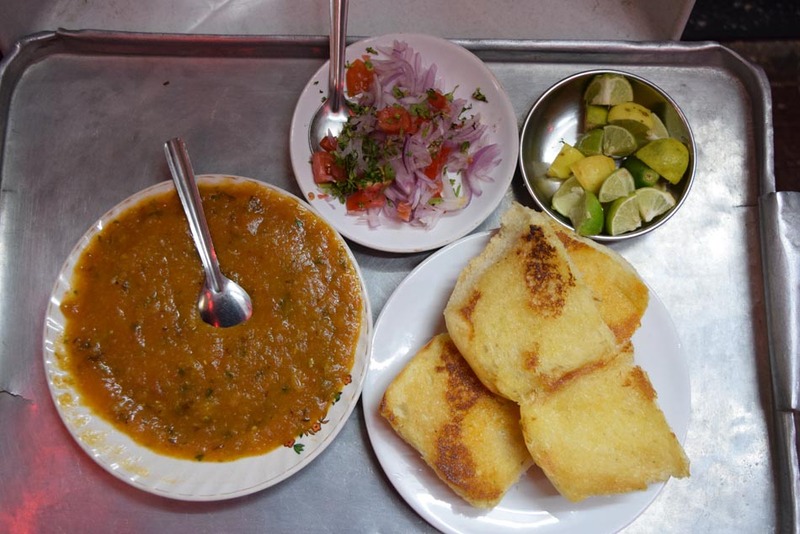 Bhaiya’s Pav Bhaji is a street food joint that’s open till midnight. Locals claim that it’s ‘the place’ to be if you love an ever so scrumptious and filling midnight snack. Be sure to give a try whether you’re short on budget or nay. Cluck Tales give their best when it comes down to infusing the finest and freshest of ingredients in perfecting dishes and delectable desserts and wholesome food at affordable prices. The staff are very polite and sweet. Very well trained and suggestive of options to try. Last but certainly not the least, tatos is a long running and highly popular breakfast chain in Goa. 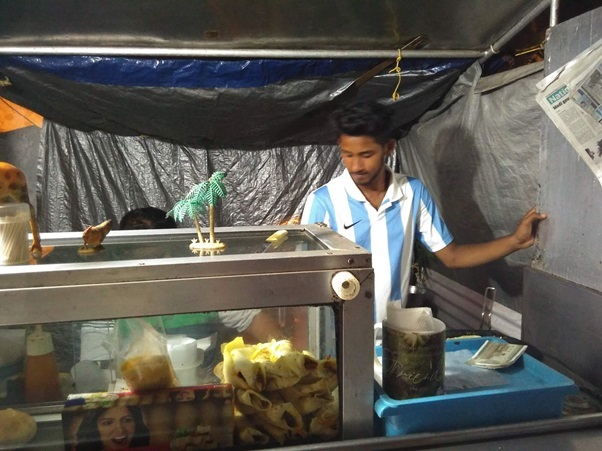 The ambience may not be appealing to some but Tatos certainly know how to make one of the best North and South Indian snacks in Panjim. Rates are very much affordable and very few items on the menu cross the 150 mark. Also, Don’t forget to post your pictures on Lokaso App along with some personal recommends once you visit any of these eatouts in Panjim. Press the button below to download the app.